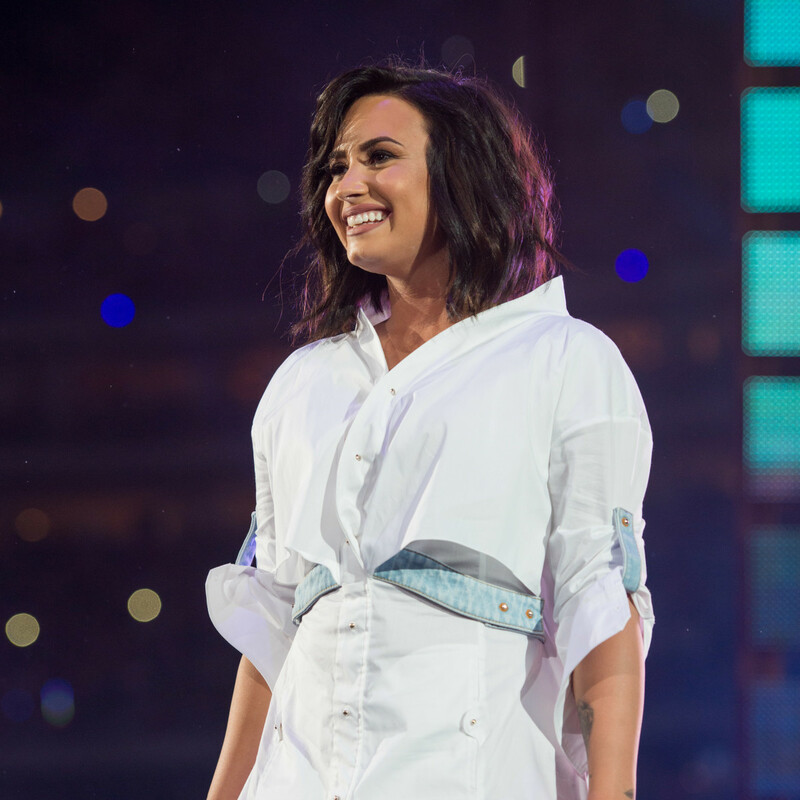 Demi Lovato kicked off her RodeoHouston performance extolling the virtues of self confidence and practiced what she sang, ripping through fan favorites during her third appearance at the big rodeo. 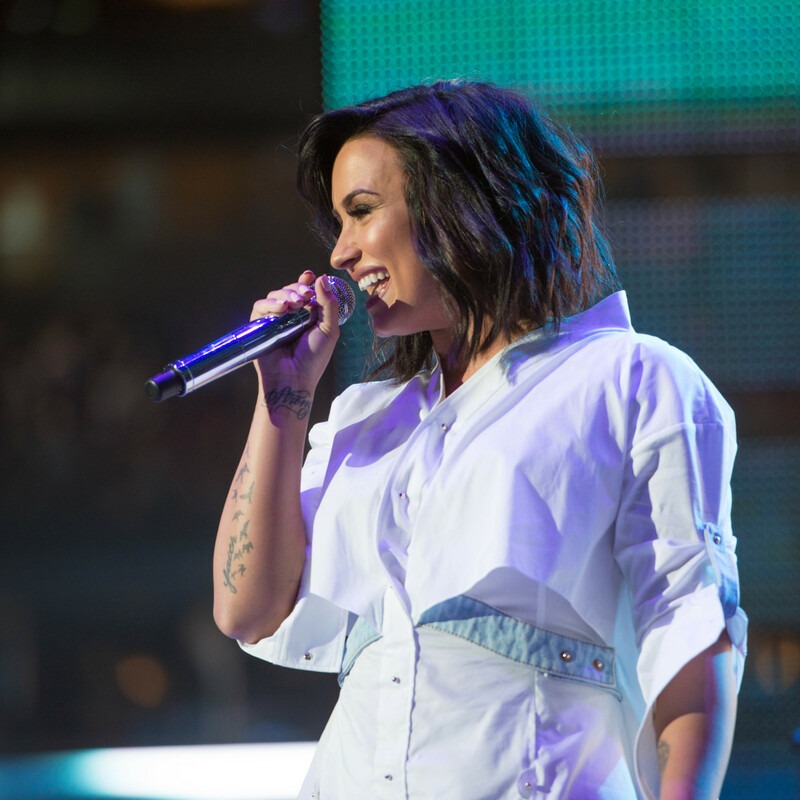 Lovato, a Dallas native, debuted her fresh wavy lob, cut just days before her Houston show. Dressed in a white shirtdress with blue belt and blue lace up booties, she offered a powerful performance before a crowd of 66,740, many of whom originally bought tickets to see Meghan Trainor at the rodeo. 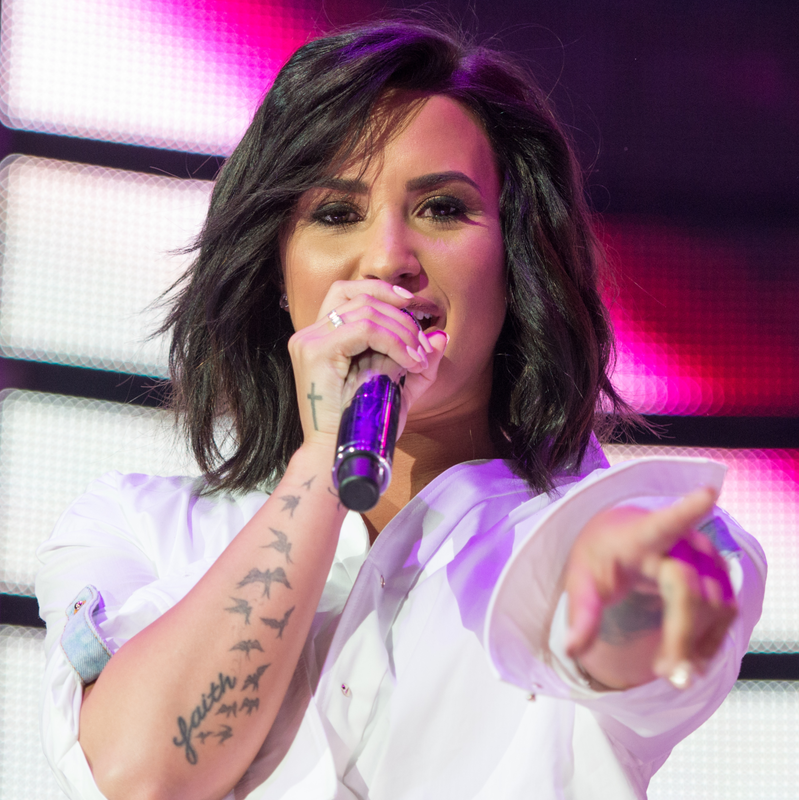 Lovato stepped up after Trainor was forced to cancel her performance on doctor-ordered vocal rest. 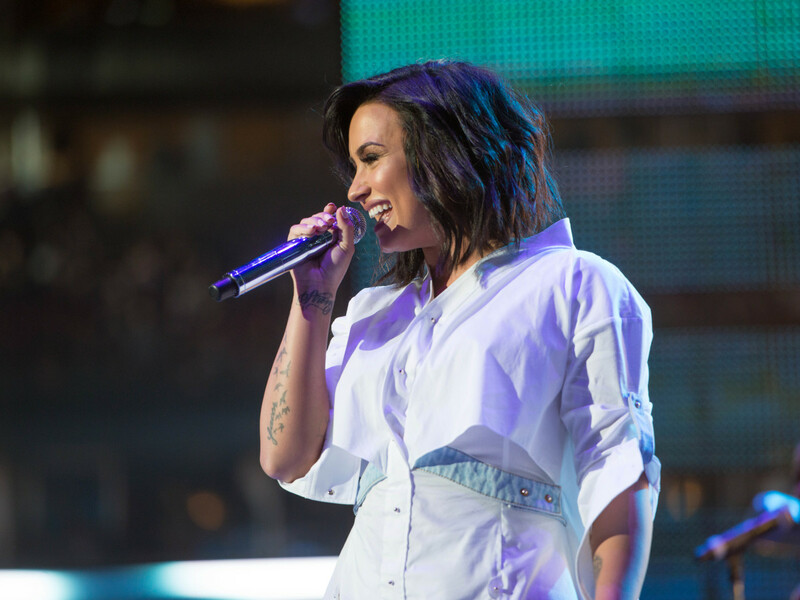 Lovato’s previous RodeoHouston performances have ranged from pop-heavy parties to emotionally vulnerable concerts, but Tuesday night she showed a mature and relaxed stage presence, breezily chatting before songs. She gave props to BFF Nick Jonas for inspiration to be herself and said the summer of 2016 gave her lots of creative material. 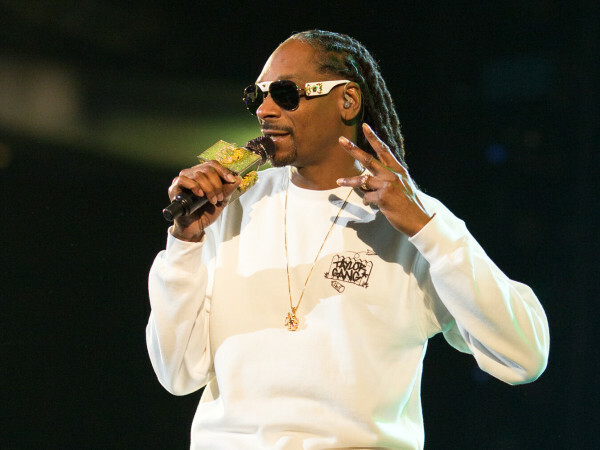 “Last summer, I went through heartbreak and had kind of a spiritual experience. I matured. My music matured as well, and Nick encouraged me to allow myself to be free,” Lovato said. Lovato prefaced "Wildfire," saying it was one of her favorite songs from 2015’s Confident album, and pulled up a wooden stool to sing "Fix A Heart." 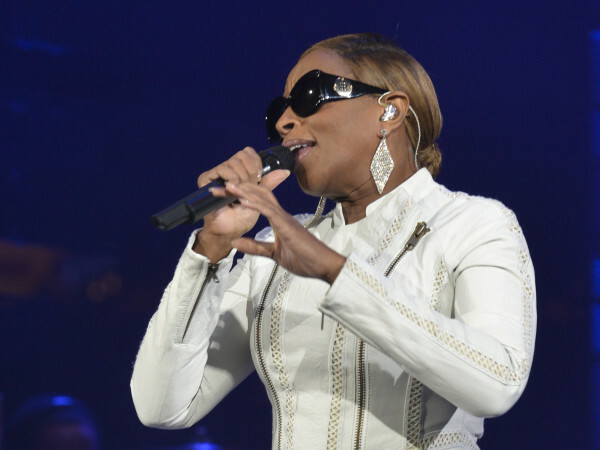 She shined during a soulful singing of "Nightingale," and bared her soul before singing "Stone Cold." “This song means so much to me. It’s about heartbreak. I get completely lost in it when I sing it. It hurts every time I sing it, but I sing it because I know someone out here is going through the exact feelings I had when I wrote this song,” Lovato said. The singer broke up with actor Wilmer Vaderrama in June 2016 after a six-year relationship. Fan favorites "Give Your Heart A Break" and "Cool For The Summer" ended the show on an upbeat note, leaving the audience dancing in their seats and ready for hot times.